I happened upon Gail Gardner of Growmap.com through my connected with Kimberly Castleberry and Kristi Hines, and noticed how she was interacting and putting out great content to her followers. I knew with the unveiling of GrowMap Anti-Spam Plugin, I wanted to interview Gail. The biggest thing that set her apart from other bloggers, in my opinion was her thorough coverage on topics that other bloggers would timidly touch on. Gail focuses on her brand, rather than herself and for a reason most bloggers might shut shop for, and she does discuss valid reasons in one of the questions below that I asked her. So, here is my interview with Gail Gardner. Gail: Before there were any such things as blogs way back in the mid-1990s when Web pages were new I used FrontPage to create a huge horse related Web site to organize and save my research. When I discovered StumbleUpon I found it a great place to save links with annotated comments – basically a super micro-blogging site before blogging became cool. Blogs simply allow me to do faster and more comprehensively what I used to do on a regular Web site, then on StumbleUpon and in forums. 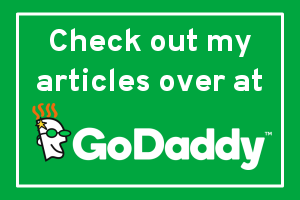 I find blogs far more usable and better for discussions in the comments than any other format. Nile: How did you go about promoting your own blog/ website? Gail: My primary method of promotion is building relationships with other bloggers who use Twitter effectively. I add their RSS feeds to my Twitterfeed and they add my RSS feed so that all of our followers see our new content. I focus more on promoting other blogger’s blogs than my own. A primary way I do that is to write a Twitter length review that contains their Twitter username on StumbleUpon. That review gets fed to Twitter and Facebook and I pull it into FriendFeed. If I really want to promote one of their posts I will manually add it to Facebook and/or FriendFeed, schedule extra tweets for the busiest Twitter times, or link to them from my own blogs. Another powerful method I use is to actively comment in other DoFollow CommentLuv blogs, I don’t get to do this as much as I would like, but I do it when I can. Whenever I comment in another blogger’s blog I make it a point to share that post – again using my StumbleUpon, Twitter, Facebook, Friendfeed strategy. Gail: I intentionally originally targeted other bloggers and social media users by following them on Twitter. I started out by locating them on Twellow, using Twitter Search and FeelTipTop.com. Later I started following those who follow the bloggers who write similar content to mine such as @AskKim and @Kikolani. More recently I have used the new PeerIndex Firefox addon to follow Twitter influencers who are interacting with people I already follow. Now I really want to reach more small businesses so my plan is to do guest posts for blogs they already read. I am also encouraging bloggers to make geographic locations part of their niche because by reaching a local audience they can improve their own communities and give themselves a built-in way to monetize. If you can reach a local audience it makes sense for local businesses to hire you to write about them, teach them to use social media (or manage their accounts for them) or buy ads on your blog. There is much more detail on that in my post Your Geographic Location IS Your Niche. Nile: A lot of people in social media have not been kind to blog owners that are not transparent. I noticed that you do not put your picture up nor have more information about yourself. Has that ever been an issue with Growmap.com and yourself, branding-wise? Gail: When I first started GrowMap I did not even have a name associated with it, but that was awkward and caused challenges when I wanted to comment in some blogs. What I know that many other bloggers do not know is that there have been many instances that put bloggers who share too much online in danger. I know of many more than those I can share, but there are two that were very public. The best known was when Kathy Sierra cancelled speaking engagements and quit blogging for a while due to death threats. The other was Techcrunch blogger Michael Arrington who took a break from blogging due to death threats and someone spitting in his face. Each blogger must decide how much to disclose. Many people, including me, have stalker issues and for us it is wise not to make it easy for people who won’t let go to find us. That is the reason I prefer not to use my photo online and use a pen name for my blog. If a new blogger asked me I would advise them to do the same if they can handle the peer pressure to conform. I believe in writing with substance and integrity and do not feel a blogger’s appearance or personal details are necessary unless they choose to become an online celebrity. Is the wisdom of Mark Twain any less wise because he used that pen name instead of his given name Samuel Clements? I think not. Nile: You have teamed up with Andy Bailey of CommentLuv to produce an anti-spam plugin named GASP for short. Can you share a little about it and how the idea of this popular WordPress plugin came to be? Gail: We actually have Phil Hollows of Feedblitz to thank for getting Andy to create the GrowMap anti-spambot plugin. Maybe he was tired of my complaining about the 1000+ spam comments a day I had to wade through to find my best comments that Akismet was putting into the spam folder or maybe he just had Andy’s ear more often than I did. However he convinced Andy to make the time to work on it, I and many other bloggers will be eternally grateful. We need GASP because the way Akismet works it will keep banning more and more of our favorite readers’ comments because there is no consensus among bloggers regarding what spam is exactly. Many bloggers are over-sensitive and mark comments as spam far too quickly. It doesn’t take having your comments being flagged many times to end up marked as a spammer. Some bloggers I know have been repeatedly flagged. I did a survey and here are some of the definitions bloggers gave: spam is: any comment I don’t like; comments from anyone I don’t know; comments that link to any site that sells anything or has an ads on it. It doesn’t make any sense that Akismet lets so much spambot spam through. When I first installed GASP I immediately went from about 1000 spam comments a day to less than 45 which shows that 955 of 1000 were automated spam messages left by bots. Blocking those spam comments – which are often clever enough to fool many bloggers into thinking they’re real – makes the process of moderating comments even in a very busy blog so much easier – and faster. Gail: Build relationships. IMHO, that is the key to influence. I believe there will be a great divide between those who give freely of their time, knowledge and influence to benefit others and those who are only interested in supporting others if they get something out of it first. The influencers I work with most – and I make and share influencer lists and blogger lists all the time – give first and know that paying it forward works. They don’t keep score and they don’t worry about whether you reciprocated or not. They just do what needs doing to create a better world and benefit everyone. It’s really great when you can read what a successful blogger does to promote and keep up a great blog. Gail is defintely a successful blogger and I read Grow Map regularly as well. Thank you for your interest and publishing this interview. I really appreciate the time you took in answering. Also, I enjoyed reading your response. This is the reason I started this series. I just need to keep on top of it every week. 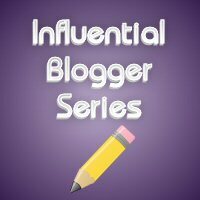 Nice info for all newbie bloggers because if they will read these kind of blog post about these persons who had achieved success in their life with blogging then definitely they will teach lot of thing for how to make a perfect blog post. Thanks for posting this interview. It’s good to have this kind of success to strive for. An inspiring and motivating story. Successful stories like this motivates all the bloggers to keep on writing.All the best! great interview with Gail Gardner i am always searching interview of successful bloggers and learn new things …. Its my first time here, but I am a regular readers of Gail’s GrowMap. This is the first interview of him I read about. I am so glad I did find your site and this interview. I have learned so much from Gail in the past few months I have reading his blog. The biggest and most important one being “honestly and genuineness”. Definitely an insightful interview. I appreciate you sharing it. I will definitely be taking her experience into consideration. Gail’s words, “I believe there will be a great divide between those who give freely of their time, knowledge and influence to benefit others and those who are only interested in supporting others if they get something out of it first.” are profound. Tim Sanders in “Love Is The Killer App”,shows how when you become a rich source of information your are seen as a person with valuable insight. The questions that you asked Gail in this interview are an indication that you desire to share knowledge. For me personally I picked up several ideas that will help me.